As we move toward a new age in the digital era, Arekibo, Dublin’s leading digital agency, has strived to learn more about the technology habits of young people in Ireland. 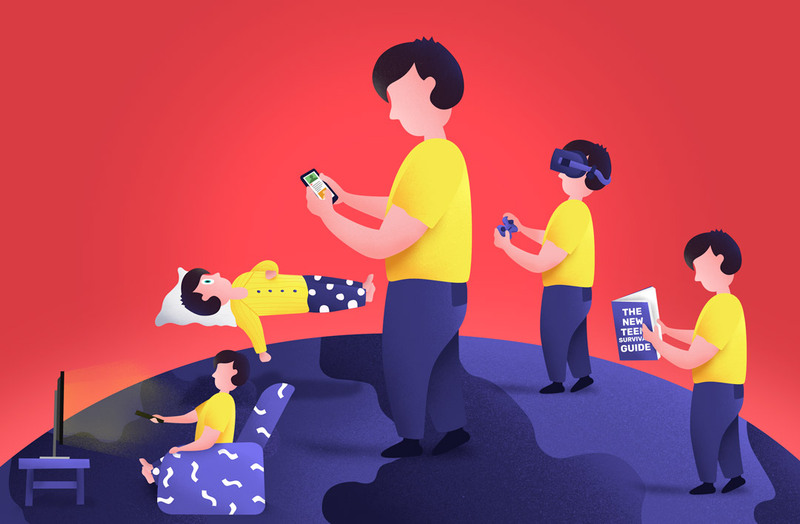 With the help of Jim Xi Johnson, a sixteen-year-old intern at Arekibo, this white paper hopes to build on research done by Jack Connery in 2011 (report) and shares some insights into the digital lives of teenagers. In order to get the data, Jim surveyed his peer group in school basing his questions on the last report. Jim received approximately 50 responses to the survey. It’s important to note that this report is not an analysis of teenage media consumption, but a report on how the relationship between teenagers and technology is changing, for better, or for worse. Jim reports how times have changed over the last 7 years, from what devices they use to the top social networks for teens. Social media dominates the lives of teenagers who spend hours on Snapchat and Instagram but less time on the likes of Twitter and Facebook. Streaming has become a lot more popular recently using sites like Netflix and Youtube to be up to date with all the new tv shows, films and latest viral videos. Being different is vital for marketing to teenagers. Social media competitions or viral videos are a great way to catch their attention. People have come to expect more from their technology as it evolves and teenagers are no different. With improvements come new products, like faster laptops, more powerful tablets and cutting-edge computers. However, many teens still use phones as their go-to browser for their portability. Teens generally have great technical knowledge of phones due to the amount of time they spend on them. Most new iPhones and Android phones are very popular and teens expect many of their features to be standard for all upcoming phones. These features include 4G, WiFi Hotspot, a lot of storage space, a high-quality camera and a high-resolution screen. In terms of mobile operators, Vodafone has a heavy hold on the teenage market, 43% according to our survey. This may be because many parents start their children on a Vodafone pay-as-you-go contract because they recognise the brand and the teenagers stick to it. Three, having bought O2 in 2014, is in second with 24% of surveyed teens using it. It seems that those on a pay-as-you-go contract tend to stick to their provider, while those on a Bill-Pay contract may be more likely to switch provider for a better deal. What else will we cover during this series?